The story of Caitline Soleil Lucas moved many people because of the bravery that she showed during her 3-month fight against juvenile myelomonocytic leukemia. On March 31, tears were shed once again as Courageous Caitie already lost the battle to her disease. In line with that, the people who were inspired by her story gathered up to make her memorial service a memorable one. It appeared as if it was a wedding with colorful confettis and things that a little girl would love. Her parents Jericho Jose or Jayjay and Christine Feliz or Feliz could not help themselves from crying. They broke down knowing that they have lost a huge part of their life. 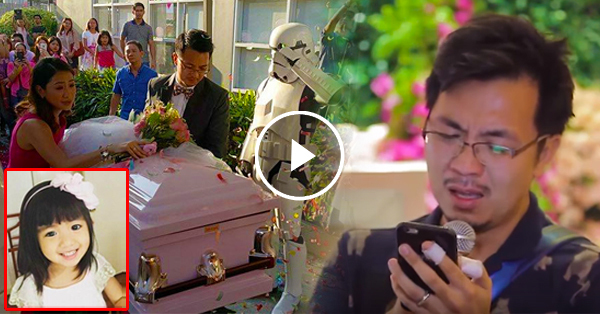 This farewell video that was prepared by Nice Print Photography will surely bring tears to your eyes.